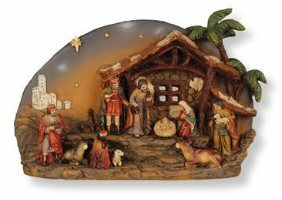 DIVINE CHRISTIAN GIFTS - Hand painted Resin Nativity Plaque. Hand painted Resin Nativity Plaque. Size: 5 3/4" comes boxed.